The Optimax PSW001 Pallet Stretch Wrapper is the perfect introduction to automated pallet stretch wrapping, and designed for businesses that wrap up to 100 pallets a day. 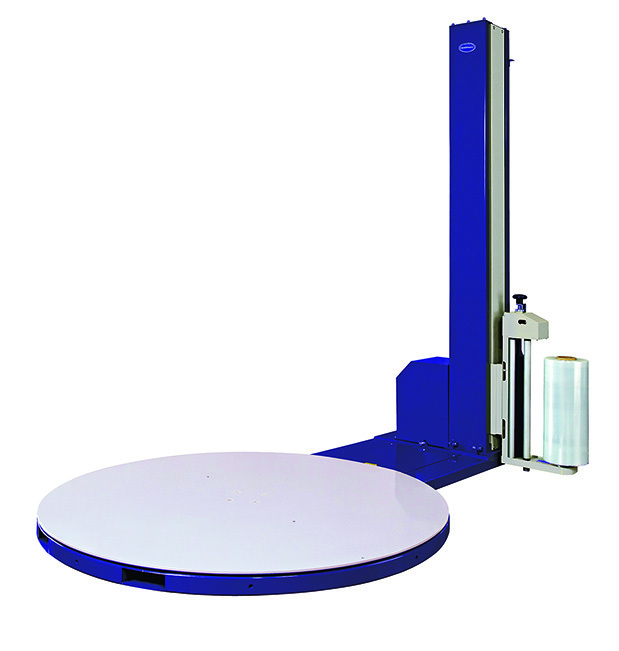 The machine provides pre-set programming and consistent wrap quality for the packaging professional. This machine is capable of wrapping between 20-25 pallets per hour. It is a very low maintenance machine and is the perfect starting choice for automated pallet wrapping. Loading Ramp: If you would like to use this machine with a pallet pump truck, you will need to purchase a ramp to affix to the turntable. These are available on our site a cost of £349 each. Installation & Training: Delivery on all machines is free and included in the machine price. If, however, you would like an installation and training service, this is available from the manufacturer at an additional cost of £295.00. We recommend using this service for pallet wrap machinery, as assembly is slightly more complex than the other ranges of machinery.